The Jets might be 1-5 and close to laughingstock territory with how poorly they've played this season, but records mean nothing to Tom Brady when it comes to facing a Rex Ryan defense. 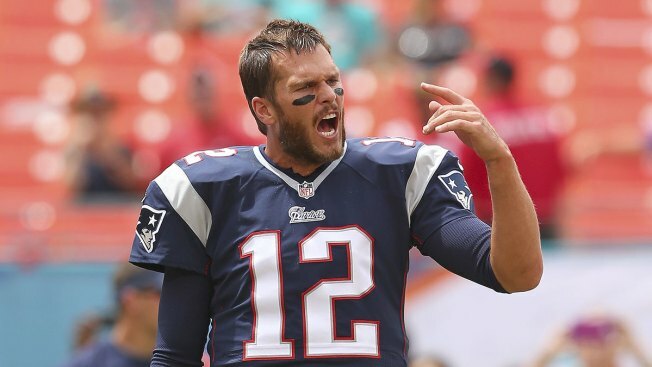 “He tests every part of your game,” Brady said of the Jets coach, via ESPN.com. “I do have a lot of respect for that from a coaching standpoint that he challenges you. And then when he feels like he’s got you on something, he sticks with it. We’ve had our fair share of good games, he’s had his fair share of good games. It makes for a great matchup. “There’s a ton of information, especially this team. They have every blitz in the book, every coverage and scheme and front, so you just have to try the best you can to prepare for it as much as you can, and you have to balance your rest with your preparation. Ryan, meanwhile, was asked on a conference call if he would consider just sending the house on every down and blitzing Brady silly, given all the issues along the Pats' offensive line. The response was, well, typical Ryan. But Brady has struggled with pressure this season, and that's largely a function of an inconsistent offensive line and what appeared to be a lack of confidence in his pass catchers not named Edelman or Gronkowski. But the Pats' offense has looked much better in recent weeks, a development not lost on Ryan.